Yue-Sai Kan China Beauty Charity Fund has partnered with WeDesign Group to relaunch the CBCF Executive Education in Sustainable Fashion Program, which was started in 2017 as a new initiative to fulfill our mission. The CBCF is committed to raising awareness of corporate social responsibility and environmental sustainability for Chinese companies, particularly those involved in the fields of beauty, fashion and lifestyle products and services. Our goal for the executives and professionals in this program is to gain an awareness and understanding of best practices in sustainability so they have the foundational knowledge and tools to develop a strategic approach that supports their brand, business and growth goals as well as our environment. 3.Copenhagen Fashion Summit - Attend the CFS to meet and learn from the world’s leading executives, experts and thinkers in the world of sustainability. Join Francois Henri Pinault and a host of business leaders to plan the future. Scan the QR code to sign up the online design studio program. 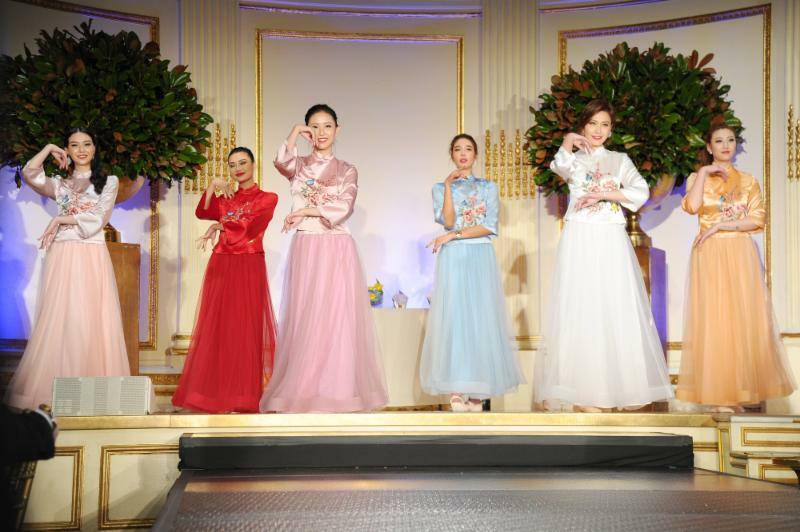 Yue-Sai Kan China Beauty Charity Fund and China Institute jointly presented the third annual China Fashion Gala at the Plaza Hotel in New York City on May 4. 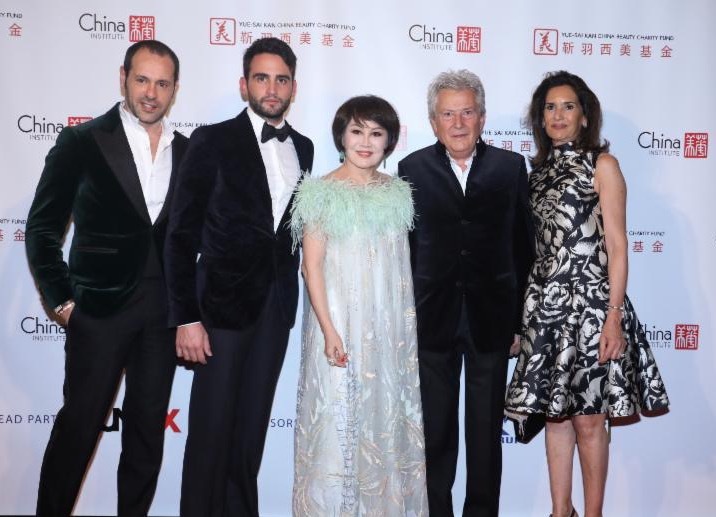 The Gala honored iconic designer Christian Louboutin; Alessandro Bastagli and Massimiliano Giornetti, executive chairman and creative director of Shanghai Tang, respectively; Tiffany & Co., the world's premier jeweller and America's house of design; and Maggie Q, one of the first Asian actresses to lead an American television network series. 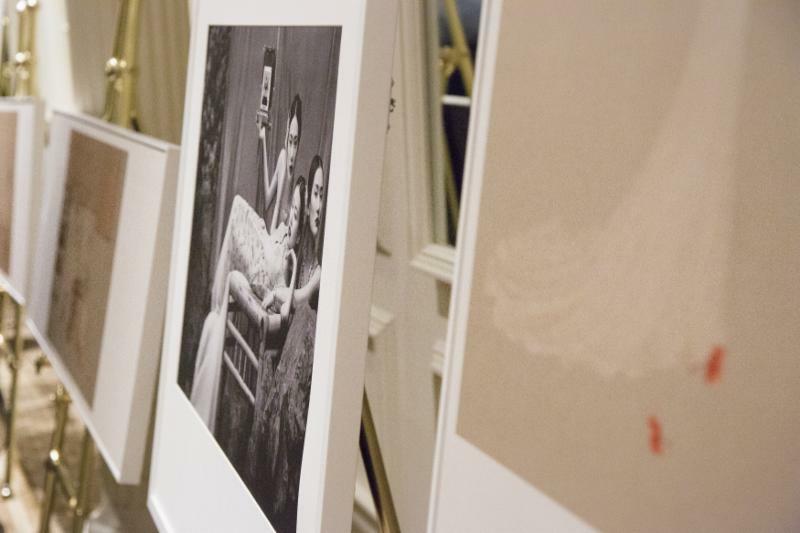 The evening opened with a cocktail reception, during which works by famed Chinese photographer Sun Jun were on display, followed by a dinner which featured a dance performance by previous winners of the Miss Universe China Pageant. 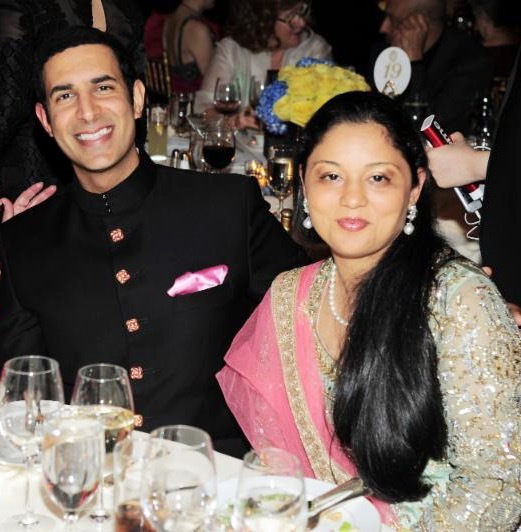 The Gala was well attended by personalities from all walks of life such as New York City leaders, well-known designers and beloved fashion icons including US Congresswoman Carolyn Maloney, Chinese Ambassador Zhang Qiyue, Silas Chou, Iris Apfel, Carmen Dell'Orefice, Didi Pei, Vivienne Tam, Asia Chow and Princess of Udaipur Padmaja Kumari Parmar to name a few. The highlight of the evening was a full-length couture fashion show by designer Grace Chen. Chen graduated in 1996 from the Fashion Institute of Technology, where she was the first alumnus from the Chinese mainland. Chen said that she hopes her designs will help establish the iconic image of modern Chinese women worldwide." China's power of culture is in the rise and everyone in the world is putting eyes on China and want to learn from China, so for us, it's a good timing," said Grace Chen. 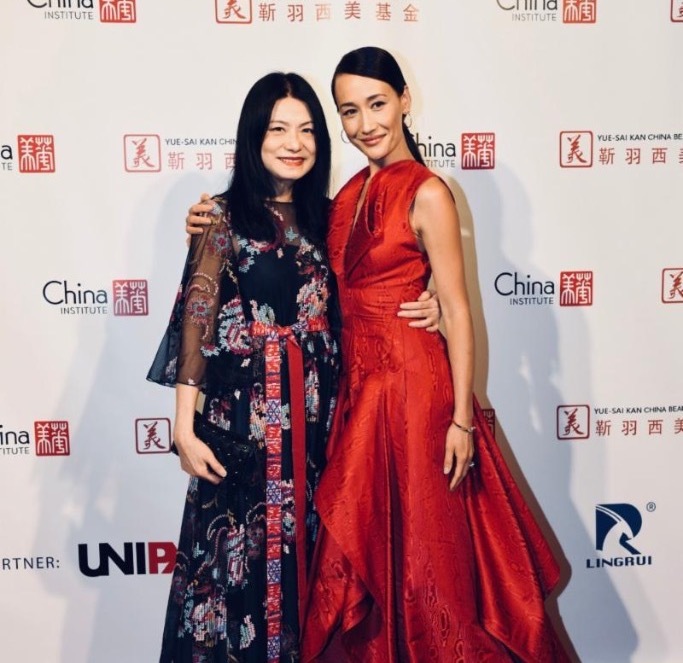 The China Fashion Gala is a platform to promote and support emerging Chinese talent on the international stage and recognize individuals whose outstanding contributions have helped position Chinese design and aesthetics at the forefront of fashion on a global scale. Yue-Sai Kan China Beauty Charity Fund and China Institute have partnered to present “2018 China Fashion Gala”. 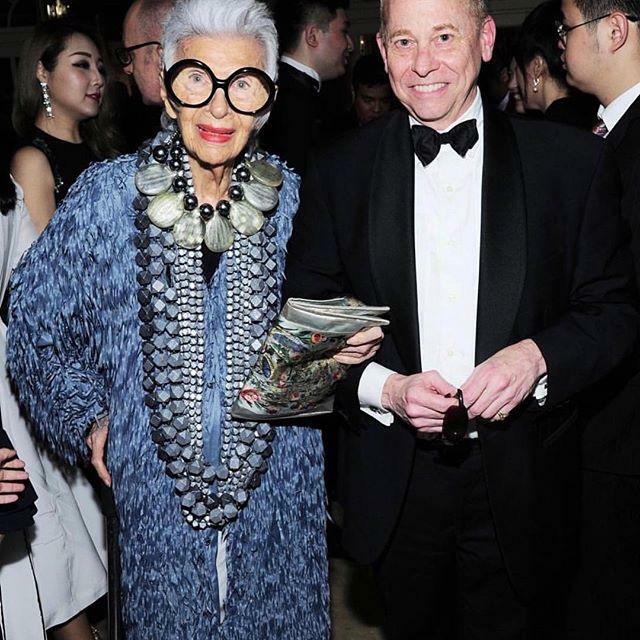 The event will be held on May 4th at The Plaza Hotel in New York City and feature cocktails, a full-length haute couture fashion show by Chinese fashion designer Grace Chen, and a seated dinner. On Friday, October 13, at the Asia Initiatives Gala, Ban Ki-Moon will present an award, named after him, to Yue-Sai Kan, along with two inspirational women Gloria Steinem and Eva Haller . They will celebrate the power of women together! Yue-Sai Kan receives Ban Ki-Moon Award for her active involvement in chartiable work throughout her life. She has founded her own foundation, the Shanghai Soong Ching Ling Foundation, which builds schools, libraries, and awards scholarships to underprivileged students. In 2002, she was named as UNICEF’s first and only Global Chinese “Say Yes for Children” Ambassador. The mission of Asia Initiatives is to leverage the power of social capital to promote healthcare, education and sustainable development, striving to bring positive change in the quality of life of people in under served communities. With a particular focus on women and their families, our initiatives utilize transformative methodologies and technologies to empower people to realize their full potential. Asia Initiatives has helped 2,500 women receive health checkups and 1,300 girls to stay in school; Established over 200 microcredit banks to support small businesse; Supported 40 village knowledge centers for underserved communities, offering access to education and information resources. The annul gala event is quickly reaching capacity so the time to RSVP is NOW!! On May 7th, Yue-Sai Kan chaired the China Fashion Gala 2017 (2nd China Fashion Night), co-presented by CBCF and China Institute. Over 300 guests from around the world came to support this event and raised nearly $350,000. 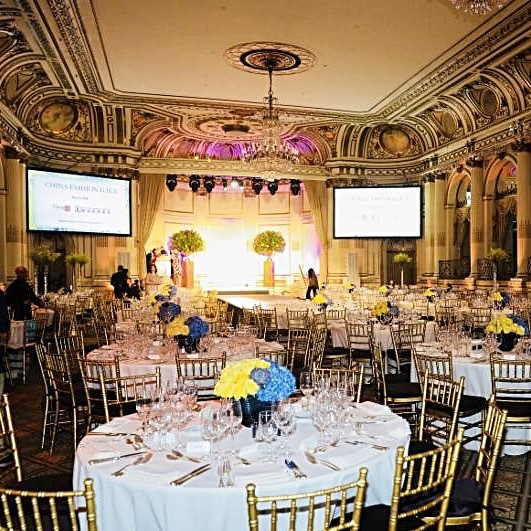 The Gala was widely reported by prominent media outlets such as New York Times, WWD, I-D magazine, World Journal, etc. Over 200 million media impressions were generated. The China Fashion Gala is a platform to showcase creativity inspired by China: to raise funds to support talented emerging designers; and to recognize individuals whose outstanding contributions have helped position Chinese design and aesthetics at the forefront of fashion on a global scale. Gala proceeds will be used to fund the China Beauty Charity Fund Scholarship at the Fashion Institute of Technology (FIT) and benefit China Institute's new Fashion Initiative, and its other public events including conversations with leading designers and workshops. The Shanghai K Charitable Foundation (“the Foundation”) is pleased to welcome Ms Yue-Sai Kan as its first Goodwill Ambassador, effective 1 September 2018. The role of Goodwill Ambassador has been created in order to support the aims of the Foundation and its philanthropic initiatives in China, providing underprivileged youth with vocational hospitality training to launch careers in the hotel industry and thus build better lives for themselves and their families. 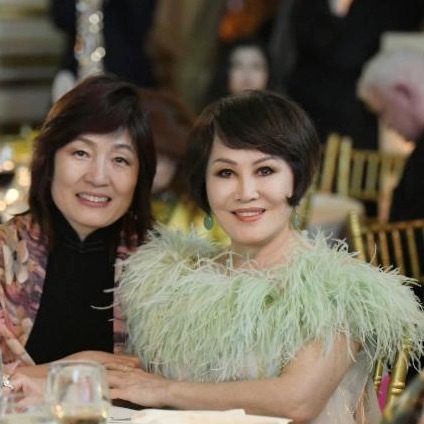 Attending events, assisting with fundraising and raising the profile of the Foundation are just a few facets of the role to be undertaken by Ms Kan, China’s most high-profile businesswoman and humanitarian. Described as "the most famous woman in China” and "the Queen of the Middle Kingdom" by People and Time magazines respectively, Yue-Sai Kan is an Emmy-winning television host and producer, successful entrepreneur, fashion icon, best-selling author and humanitarian. Ms. Kan has been deeply involved in charity and philanthropy in China throughout her life, with UNICEF naming her in 2002 as its first and only Global Chinese “Say Yes for Children” ambassador. Born in Guilin, China and brought up in Hong Kong, Yue-Sai was studying in Hawaii when she was a finalist in a beauty contest. The prize involved international travel and marked the beginning of her career in fashion, beauty, communication, cultural exchange and philanthropy. Credited as “the most watched woman in the world” with TV broadcasts in China and the USA, she was the first TV journalist to connect the East and the West, successfully introducing Asian culture and customs to a Western audience, and giving many Chinese their first glimpse of the outside world and inspiring millions of young people to learn English and travel abroad. She successfully transformed herself from a TV personality into an entrepreneur in 1992, creating the Yue-Sai cosmetics company, which became China’s leading make-up brand. In 2008 she created The House of Yue-Sai, a lifestyle brand offering Chinese consumers stylish home furnishings, accessories, gift and jewelry, together with a line of dolls with distinctive Asian features. A prolific author, she has also written nine best-selling books in China on beauty, etiquette, interior design and life/career development, and for the last 12 years, she has been the International Ambassador for the Shanghai International Film Festival. However, Ms. Kan’s humanitarian and philanthropic efforts are her proudest achievement, and through the years, she has built hospitals, orphanages, schools and libraries in underprivileged areas of China. Dedicated to the betterment and advancement of women and children through education, health, artistic, creative and cultural programmes, she sits on a number of high-profile boards, organizations and foundations, both in China and internationally. The recipient of honors from various bodies, including the United Nations, the Shanghai Municipal Government, Xinhua News Agency, Asia Initiatives and the Governor of Hawaii, she is also the first and only living American to be featured on a Chinese government-issue postage stamp. “I am delighted and deeply honored to be able to support this philanthropic initiative as the Foundation’s first Goodwill Ambassador. Its aim of helping disadvantaged youths, empowering them and giving the opportunity to learn a trade and become independent ties in perfectly with what I’ve been striving to achieve throughout my life with my own charitable actions,” said Ms Kan. “Having worked all my life to build bridges between east and west, tourism is such a leading force for good – not only bringing revenue into the country to improve standards of living, but also spreading understanding of China and our Chinese culture to overseas travellers,” she continued. Today, Chinese people travel and study abroad, watch blockbusters at cinemas, order international fashion brands online, and do business with people from other countries. An Emmy for her broadcast genius, twice honored with her likeness on Chinese postage stamps, Yue-Sai Kan uses her pioneering spirit to be a global force for change. She reigns as a television host and producer, beauty mogul, author, entrepreneur, cultural ambassador, and passive advocate for WOMEN AND CHILDREN. China Institute trustees Yue-Sai Kan, the Emmy-winning television host and producer, and Mei He, a recipient of the Eisenhower Foundation International Leadership Award, helped out as emcees. Stuffed panda bears were placed in the bamboo decor, thanks to the evening’s sponsor, Hainan Airlines, which was also celebrating the launch of its Panda Express routes to Chengdu and Chongqing.